We are now several years into the Affordable Care Act. There are now facts and figures which reveal troubling tremors in the financial underpinning of health insurance for all patients. No one will be exempt from these market forces. Some politicians and President Obama (for whom the ACA was renamed "Obamacare") insist on how many millions of Americans are now insured. Yes, they carry a card, either a blue one with a stripe (Medi-caid) or a private plan. What many of these newly insured do not know is the card they carry from the ACA is not the same that fully paying patients have in their wallets. The term "What' in your wallet" may be applied to health insurance cards as it has been to certain credit cards. The similarities are frightening. These subsidized plans required providers to sign new contracts with less reimbursement eliminating any incentive to be credentialed for the affordable care act. It required providers to re-program their practises management software to bill different amounts for the ACA and to accept a lower reimbursement for each procedure code. In some Western states the impact of undocumented workers remains largely unknown. However there are those who want to include the segment of our population. I think these immigrants do need to be protected, and not be excluded from the American health system. We have always been a country that welcomes immigrants and usually assimilate them fairly quickly. Here is what is building. 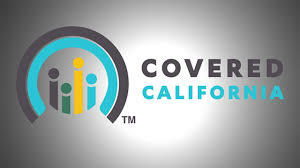 Will Covered California Sell Health Coverage To The Undocumented? 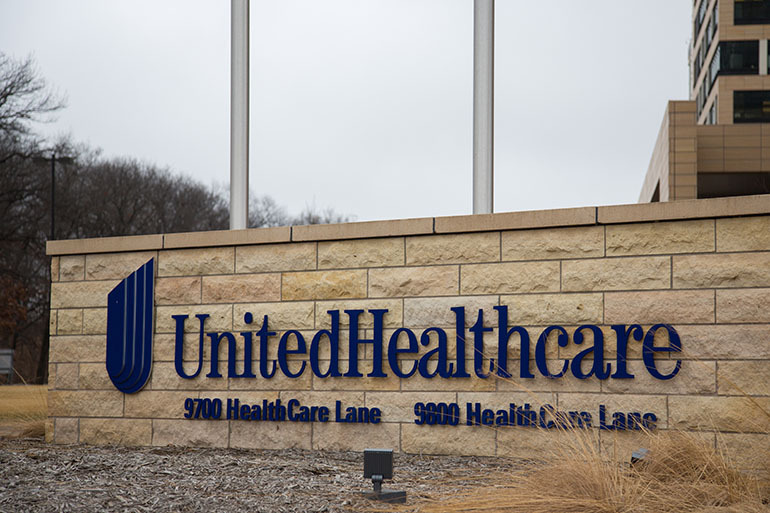 United HealthCare has absorbed multiple other companies during the past two years, to insulate itself from competition and have full reign over the market for insurance plans. These mergers include or will include the following competitors. The changes will impact consumers in different states, according to market share and other factor such as the amount of care to patients with long standing expensive chronic disease, more advanced because of neglect in the group of the uninsurables. The impact of lifestyle becomes a significant issue for some states where poor nutritional habits affect health and the development of chronic illness, diabetes, obesity, hypertension, the effects of depression, unemployment, environmental hazards. Social change and erosion of the middle class will impact health as well. The longstanding organization of employee based health care is disappearing, and group policies are re-organizing. Wall Street is ablaze with speculation and the huge increase in share value for many of these companies. 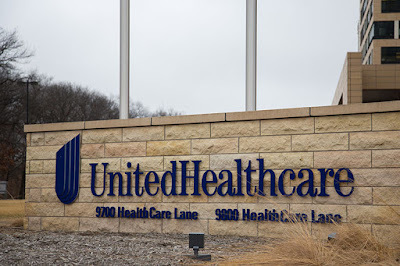 UnitedHealth-Aetna colossus would overtake Apple on the Fortune 500.
market....."too big to fail". Uncle Sam steps in when all is lost.......and there you have it "UNIVERSAL PAYER" Who wudda thot ? So where do patients and providers fit in? Parts of this article are from Fortune, and reporting from the California Medical Association. It is not hopeless. the problem and the solution lies within. I have had many illnesses, including heart disease and a mild stroke. I went through open heart surgery and several angioplasties for heart disease. On a scale of dread, heart disease was about a 2 on a scale of 1 to 5. The idea of a stroke was a 6 in my mind, and when it happened quite suddenly, while I was asleep i had an acute anxiety attack. When I awoke I realized there was something amiss in my non-dominant right hand, it was numb. In the past I would at times awaken and have one of my hands tingling or numb which I attributed to a cervical disk problem. (one of my cervical disks bulges,and I have had a surgery on my lower back for a ruptured intervertebral disk) However this did not go away even with stretching my neck. Try as I might my right arm and hand refused to obey my commands. I am fortunate. The symptoms and signs diminished quickly over a period of two weeks. I was left with some residual balance and gait disorder, for which I have learned to compensate. The best way to treat a stroke is to not have one. I ignored a serious and common factor for stroke risk. 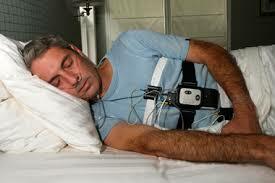 Snoring and sleep apnea, both of which are successfully treated. It is listed as a risk factor, but is overshadowed by cholesterol issues, hypertension, and diabetes. I ignored my spouses warnings about my snoring and periods of sleep apnea. Sleep apnea occurs when there is total airway obstruction from snoring. Patients are unaware of these episodes but whoever sleeps with or near them will hear a gasp and see the victim roll over or moan. I share this as an admonition for this month' preventive measure as well as weight reduction, a healthy diet, and exercise. smile. Is the person's smile uneven? Arm Weakness – Is one arm weak or numb? Ask the person to raise both arms. Does one arm drift downward? s the sentence repeated correctly? the symptoms go away, call 9-1-1 and get the person to the hospital immediately. medical personnel to know if blood thinners will be effective in treating the stroke. Unfortunately for John Stoessel he was diagnosed with lung cancer this month. I pray for his speedy recovery. In the process of being discharged from hospital he complained the customer service was terrible.. His complaint was not extraordinary. Mr. Stoessel of FOX news is known for ihis acerbic commentary about current events. Mr. Stoessel did not specify how or if his medical care suffered. This event by a visible 'celebrity' will undoubtedly ring bells and remove stars (*****) from the hospital's HEDIS ranking and Medicare's STAR system of measuring quality assurance. I pity the hospital CEO or the VP of medical affairs. For certain the Board of Trustees will forgo their usual free lunch to allow this item to be placed on the next agenda. I would like to add that his physicians probably have the same complaints about provider services. Such things as having to wait for an operating room, or the constant demands for paper work, signing orders, inadequate parking,and having to wear an identification card and/or a security card. and of course being frowned upon for dissing nurses administrators. This says nothing about the disappearance of free meals every day and steaks on Friday. When I was a sprig of a physician back in mid 20th century I expected a full buffet spread with a chef to serve me in the doctor's dining room. This of course ocurred in Orange County California where normalcy included two Mercedes in the garage (there were no Tesla's at the time) and a beach house. At the time hospitals were popping up in the bean fields. Doctors would chose their hospital rounds at a time when meals were being served. Today all of those perks are gone. The small one story hospitals are gone or have morphed into multistory hotels without customer service. There are even chains of hospitals managed or owned by nationwide companies. John, I would like to thank you for your objective measure of hospital quality. I do pray for your prompt recover, thanks to modern medicine. The cost of things now just does not allow for 'customer service.' That went out the window due to cutbacks long before the Affordable Care Act. As a very visible 'celebrity' I salute your expose. I hope you will join those of us who campaign daily for patient and provider advocacy. I wholeheartedly encourage you to continue your commentary about patient experience's. And please don't forget us poor providers.Perhaps we should invite you to a medical staff meeting. Perhaps I can assist you there. Do you have an agent ? Recently The Health Care Blog featured a post by Richard Gunderman M.D. "April 22 marks the 400th anniversary of the death of the greatest novelist who ever lived, Miguel de Cervantes. Though the day will pace unnoticed by most physicians, it is in fact one many should note. Why? Because both his life and work can serve as vital sources of inspiration and resilience for health professionals everywhere." Cervantes faced numerous disappointments and setbacks in life – poverty, imprisonment, slavery, serious injury, and repeated rejection. Not unlike many contemporary health professionals, he had many reasons to become discouraged and give up. Yet he found the will to carry on. Where did he find such inspiration and resilience? I believe that he found them above all in his work – not the reactions of critics or the royalties he collected, but his deep belief in his life’s mission. Though the novel is filled with battles of various kinds, Don Quixote reminds contemporary health professionals that the real battle takes place within. "In giants we must kill pride and ignorance. But our greatest foes, and those we must chiefly combat, are within. Envy we must overcome by generosity and nobleness of spirit; anger, by a reposed and quiet mind; riot and drowsiness, by vigilance and temperance; lasciviousness, by our inviolable fidelity to the mistresses of our thoughts; and sloth, by our indefatigable peregrinations through the universe. . . . This, Sancho, is the road to lasting fame and good and honorable renown." Richard Gunderman makes me realize it is time to re-read Miguel de Cervantes. Social Media has already played a role in improving treatment of mental illness. The result is improved economic benefit to California's economy. A statewide social marketing campaign to reduce the stigma associated with mental illness has brought economic benefit to California’s economy, a new study says. How? 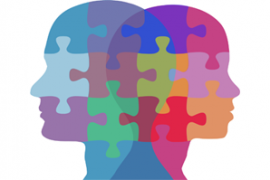 By boosting the employability, productivity and incomes of people afflicted by psychiatric conditions, according to the study, published Thursday by the RAND Corporation, a Santa Monica-based policy think tank. The study showed that people in need of mental health treatment who were exposed to the anti-stigma message of the social marketing campaign were more likely to seek help. Those who get treatment have a significantly higher chance of finding good-paying jobs, thus contributing more tax dollars to state coffers, it said. Reducing stigma, especially in the minds of people who suffer from mental illness, was a key priority. Central to the effort was a multi-faceted social media campaign that delivered stigma-reducing messages in a variety of forms, including documentaries, public services announcements, online public forums and multimedia advertisements. An important part of the media campaign was a documentary that recounts the stories of California residents who have suffered from mental illness and recovered. It was broadcast numerous times on public television stations, showed to community groups and other audiences and is posted on the CalMHSA-funded website, EachMindMatters.org. Scott Ashwood, lead author of the RAND study, said an estimated 121,000 people per year seek mental health treatment after being exposed to a social marketing campaign’s anti-stigma, anti-discrimination message. Discrimination against people with mental health illnesses continues to be a serious social problem, experts say, though many of them think society is headed in the right direction. And stigma in the eyes of others isn’t the only problem. “If they recognize and accept their illness, they will seek treatment and function better,” Delacruz said. But they have to jump through the stigma barrier, she said, that’s where these social media campaign efforts can help. Donald Trump's objectively awful healthcare "plan" continues to baffle and "exasperate" Republican policy types who are going to have be responsible for defending it—and him—should he get the nomination. None of them seem to have any problem now, however, unloading about just how much of a mess it is. 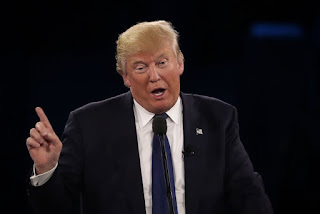 Grace-Marie Turner, the president of the Galen Institute, a champion of free-market health policy, said Mr. Trump’s proposals were sketchy and inadequate. All of which Trump's chief policy adviser, Sam Clovis, dismisses in a manner that's totally emblematic of the entire campaign. When it comes to policy, there just isn't any beyond a bunch of catch phrases and emphatic bluster from Trump. Clovis says that his candidate is running against the political establishment, so these criticisms just don't matter because he's not relying on "traditional establishment Republican people" like them. Instead he has a half-dozen or so advisers who are "very prominent people," but who "are not ready to have their support of the Trump campaign known." Yeah, I bet they're not anxious to be known. In the early days of Medicaid when it was formed it was considered a safety-net for those who were uinsured, unemployed, and below a certain poverty line to become eligible for 'state aid'. 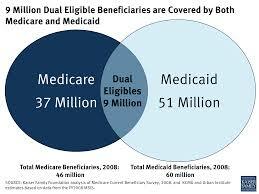 In reality the federal government subsidizes the state-run medicaid system. Even then the system was riddled with deficits in reimbursement to providers hospitals, and quality of care was an issue. The system was burdened with bureaucracy and late payments with little response from state agencies about errors in reimbursement and little chance of adjudication of denied claims that were denied. While federal and state programs set goals for private insurers in term of quality assurance Medicaid was not required to meet to meet those standards, until very recently. The Affordable Care Act has begun a slow process of improvement. Moving into a realm usually reserved for health care regulators, Covered California Thursday unveiled sweeping reforms to its contracts with insurers, seeking to improve the quality of care, curb its cost and increase transparency for consumers. Among the biggest changes: Health plans will be required to dock hospitals at least 6 percent of their payments if they do not meet certain quality standards, or give them bonuses of an equal amount if they exceed the standards. The plan, to be implemented over seven years, is based on a similar strategy pursued by the federal agency that oversees the government-run Medicaid and Medicare health insurance programs. Seven years is a prolonged adjustment period for new regulations to be implemented. Covered California will also require health plans to identify hospitals and doctors that are performing poorly on a variety of quality metrics or charging too much for care. The plans must dump the providers from their networks as early as 2019 if they don’t mend their ways. The plans could choose not to cut the hospitals or doctors, but they would have to explain in writing why, and detail what the providers are doing to address their deficiencies. Some doctors have noted that provider networks in many of the health plans sold by Covered California are already thin and warned that cutting the networks even more would only exacerbate the problem. And, they say, some hospitals and physicians might balk at the stringent new requirements and decline to participate in Covered California networks. 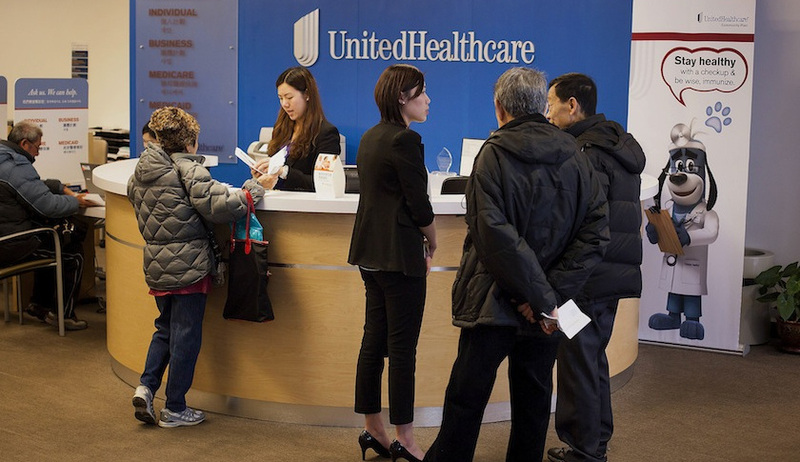 Health plans must assign a primary care doctor to enrollees within 30 days of coverage. Health plans and doctors must share data to better track and treat patients with chronic conditions such as diabetes. Plans are obliged to monitor and reduce health disparities among all their patients, starting with four major conditions: diabetes, hypertension, asthma and depression. They also are required to better manage the price of high-end pharmaceuticals and aid consumers in reducing the cost of expensive drug treatments. The health plans must help consumers better understand their diseases and treatment choices – and their share of the costs for those treatments. While not dealing with problems, it is the first time Medicaid will be required to meet standards set for private insurers. Perhaps some requirements of the Affordable Care Act will bear fruit. Exercise is good for the brain, whether normal or abnormal. It has been found that not only does exercise increase blood flow to the brain, exercise also has other indirect effects on the brain. Like so many,the effects of exercise led to a serendipitous discovery. For most of his life, Marco Tapia viewed exercise as a way to stay in shape. He played soccer growing up. It was recreation, and an opportunity to hang out with his friends. But since Tapia was diagnosed with schizophrenia four years ago, physical activity has taken on a new, more urgent value for the 28-year-old. 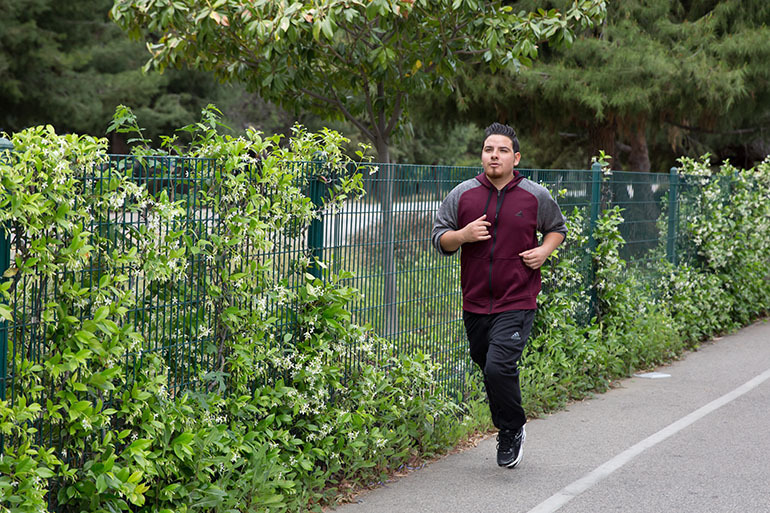 A new study by researchers at UCLA’s Semel Institute for Neuroscience and Human Behavior shows that regular aerobic exercise has significant benefits for young schizophrenia patients, such as Tapia. 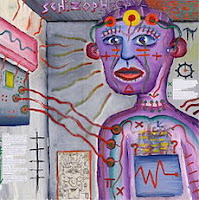 The research reveals that an intensive routine of both physical and mental exercises, especially in the early stages of schizophrenia, can help repair the deficits in memory, problem solving and social intelligence that are associated with the illness. Tapia was part of a 10-week pilot study at the Aftercare Research Program, a clinic at the Semel Institute. He and his family found out about the free program after an episode of schizophrenia landed him in the hospital in 2012. Combined with behavioral therapy, and medications this combined treatment may offer a meaningful quality of life for those diagnosed with schizophrenia. In the pilot study, one group participated in computerized cognitive training, while a second group did the same computer training in addition to 150 minutes of exercise videos a week. The patients completed a variety of tests, including a dot-to-dot drawing. The completion time for the group that exercised dropped from 37 to 25 seconds — not too far from the average completion time of 22 seconds among people without schizophrenia. In a second and ongoing study, 32 people who experienced their first schizophrenic episode within the last two years were put through similar computer-based training. Half of them also engaged in aerobic exercises led by physical trainers. Today neuroscience, genomic, advanced brain imaging will all contribute to understanding this life-threatening disease. Conversation opened. 1 unread message. The health policy literature is filled with references to providers, but patients are all too often left out of the conversation regarding how to best meet their needs. Growing attention to patient-centered care - with the attendant need for a better understanding of patient goals, better methods for engaging patients in their care, and better measures of outcomes that have meaning for patients - recognizes the moral and practical need to view patients as the center of the health care system. How Do We Engage Patients? content on patients' use of evidence and the event. Health Affairs is the leading journal at the intersection of health, health care, and policy. Published by Project HOPE, the peer-reviewed journal appears each month in print, with additional Web First papers published periodically and Health Policy Briefs published twice monthly at www.healthaffairs.org. 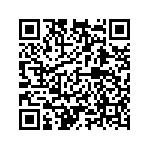 You can also find the journal on Facebook and Twitter. Read daily perspectives on the Health Affairs Blog. Download weekly "Narrative Matters" podcasts on iTunes. If you do not wish to receive e-mail notifications or invitations in the future, please email dboylan@projecthope.org. These were very funny and I wanted to share it with the Health Train Express family. It is a bit late for the weather forecast for health reform. 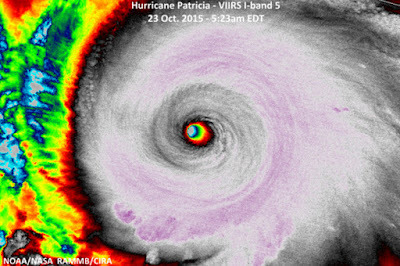 In October 2013 the leading edge and eye of the hurricane was here. After many forecasters warned of it's approach to health care, some chose to evacuate (retire early), join group practices (shelters) and some persisted in their old ways, unable or unwilling to adapt. The tidal surge removed most of the laggards. In health care the mantra "Move ahead or face extinction" has become reality Those who chose to change are still working as physicians. Some medical practices faced insovency and ended in bankruptcy. Nicholas Negroponte, co-founder of MIT's Media Lab quote: "Computing is not about computers anymore, it is about living". The storm eye is the affordable care act....a low pressure area with cyclonic winds drawing in each component of the American health systemm. In the cyclone are violent thunderstorms and tornados.. These analogies are the large group and integrated health systems. Unlike individual and small group entities they carry more weight and influence on the storm. Each has it's own niche in the system. The storm effects the entire country to it's core, economic, social and health. The storm is about human survival, much like a hurricane bearing down on the community (metropolitan, or rural.). 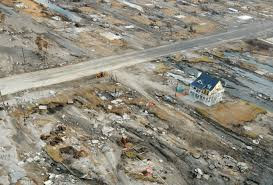 The most vulnerable are those living in the lowlands, near the ocean. This demographic is most vulnerable and require the most protection from storm surge and strong winds. They are also the least influential and require special protection as the storm advances. These analogies are a powerful vision of what is and has taken place during the last four years. The uninsured have been the center of this storm. The effort to include them in our insurance system has effected the entire system. The sheer number, to include 40 million is an almost overwhelming increase in patients. In practical terms resources are limited. The administrative burden (which includes planning and implementation of new organizations, financing...regulation, delivery of care and the change from fee for service to quality-based and value are considerable.